zarinahtakesapaycut: Will Khoo Chuan Keat be the fall guy for PwC Malaysia : Will PwC Malaysia reveal all internal emails and documents as part of the discovery application? Will Khoo Chuan Keat be the fall guy for PwC Malaysia : Will PwC Malaysia reveal all internal emails and documents as part of the discovery application? Khoo Chuan Keat, the man PwC Malaysia turn to when they need an affidavit signed post haste, has to think very carefully before he puts his John Hancock down on the next affidavit someone slaps on the table in front of him. PwC Malaysia already find themselves with no choice but to cave in and agree for the plaintiffs' application for discovery of documents, and they run the risk of seeing internal emails and documents they leave out of the discovery being published in this blog and elsewhere. Rabindra Nathan, PwC Malaysia's erstwhile counsel, found himself having to 'misconstrue' his clients' instructions again and again in order to keep the discovery from happening. On 11.8.2011, Rabindra says this in open court," On the evening of 9th August, I was made aware that there are some newly discovered documents...". In his correction later, Rabindra says," My understanding at that time was that these were documents that had recently been discovered....It turns out NOT ALL of these documents fell in that category." On 6th January 2012, Khoo Chuan Keat in his latest affidavit, has to cover a lie to cover other lies with yet another lie, ".....counsel stated that these instructions as to where the documents had been discovered had been misconstrued. " So, now we wait for the next attempt by PwC Malaysia and its cohorts to cover up their shenanigans. 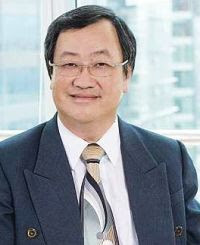 Khoo Chuan Keat may well become one of the sacrificial lambs PwC Malaysia has to offer to bring matters to a close, but even a thousand Khoo Chuan Keat's will not change the simple fact that when it comes to PwC Malaysia, abundans cautela non nocet rings true. One can never be too careful.